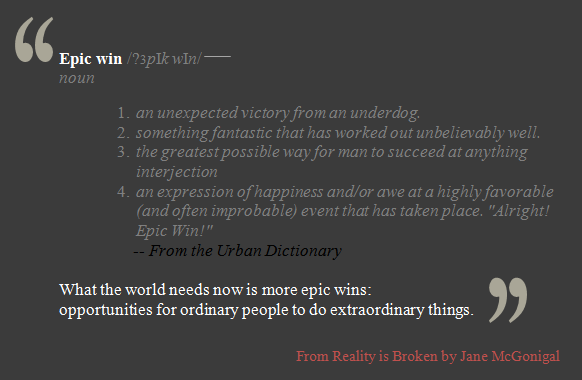 Last week we challenged you to take a virtual victory lap by sharing photos of your own EpicWins on our Tumblr. The results were STUPENDOUS! We had everything from architectural design elements to (half) marathon completions to true medical miracles appear on the list - plus many other crazy inspiring examples. I gotta admit, this has been my favorite challenge so far - I just loved seeing so many examples of pure joy. Well done, gang! 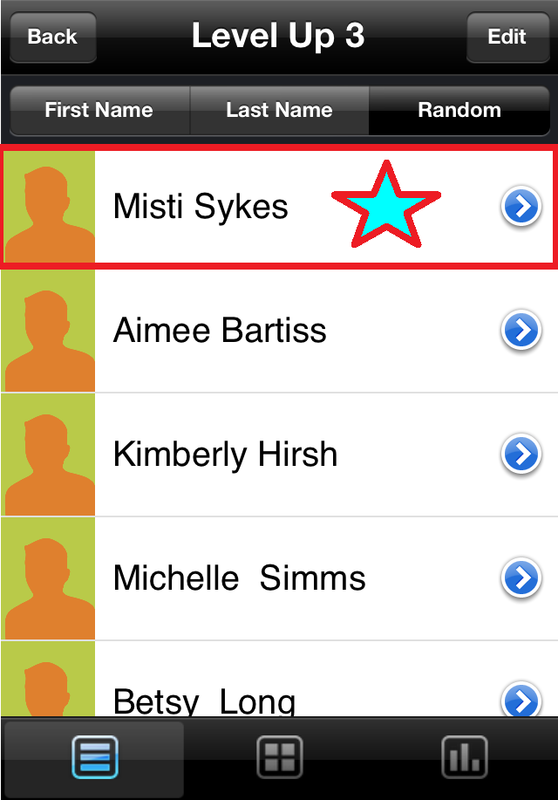 As with past challenges, once the week was over, I put the names of all our participants into the app PikMe! (which I use at school to select students at random). A few clicks later and we have a winner! Congratulations to Kristina Thoennes whose impromptu, made from scratch, lemon meringue pie not only bumped her up a notch on the Level Up Book Club Leader Board, but also made her the winner of this week's prize! Congrats Kristina! I know I speak for the rest of our club when I say, of all our entries this week, yours was certainly the yummiest! 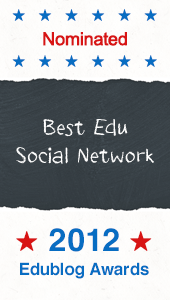 Speaking of Epic Wins, thanks to all of you who participated in last week's Twitter chat! One of the best parts of this whole process has been the conversations that have taken place on Twitter as we explore the concept of gamification and how it might impact student learning. The twitter chat was truly an explosion of ideas that left us saying "wow!" If you missed it, don't fret, you can still check out the discussion by searching for the #levelupbc hashtag on Twitter and following the tweets starting at 8pm EST on the 28th. The Twitter Chat is also where we announced next month's read: What Video Games Have to Teach Us about Learning and Literacy by James Paul Gee. Thanks to everyone who voted! We'll announce next week's challenge tomorrow. In the meantime, congrats again to Kristina whose Epic Win scored big this week! Directions: Take a #levelupbc victory lap by sharing a photo of one of your very epic wins on our tumblr! Your epic win can be game related, school related, work related, kid related, dog related or none of the above related! Any example of a situation that made you want to pump your fist in the air and shout "score!" will do. Deadline: 11:59pm Friday, June 29th. Share photos via Twitter and Tumblr as often as you'd like. One chance per participant to win! Good luck! Reminder: The very first #levelupbc Twitter Chat will take place THIS Thursday, June 28th starting at 8pm! So grab your book, the beverage of your choice and a set of nimble fingers so you can take part as Level Up Book Club members far and wide gather to discuss Jane McGonigal's Reality is Broken. Twitter handles for all #levelupbc members can be found on our leader board. And don't forget -- we'll be announcing our next read at the end of the chat, so... if you haven't voted, now's your chance! Good luck on this week's challenge and we'll see you on Thursday! 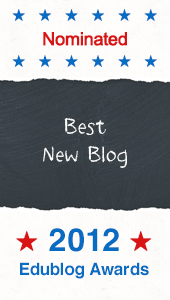 Happy reading, sharing and winning! Last week we challenged you to get your Game On! by showing us pictures of YOU playing one of the games mentioned in Jane McGonigal's Reality is Broken. Lots of you participated and the games of choice varied from Free Rice to Four Square to Super Better and countless others! 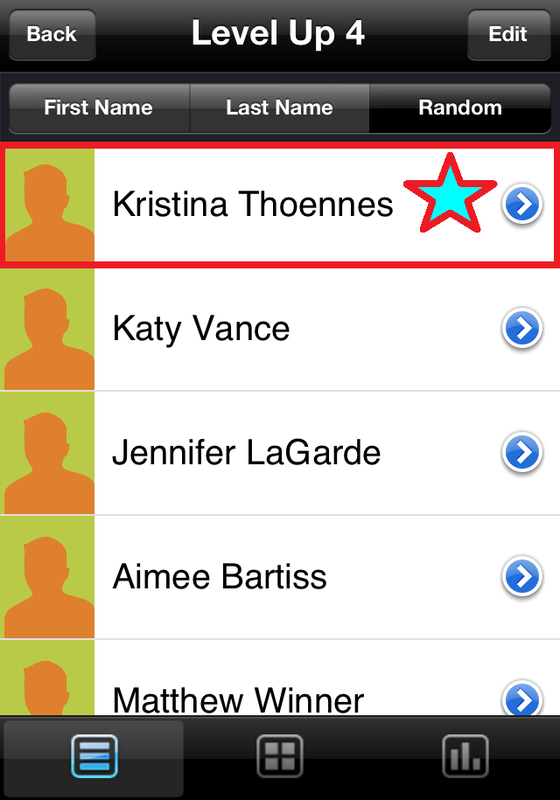 Once the week was over, I put the names of all our participants into the app PikMe! (which I use for school to select students at random). A few clicks later and we have a winner! Congratulations to Misti Sykes whose mad World of Warcraft skillz not only bumped her up a notch on the Level Up Book Club Leader Board, but also made her the winner of this week's crazy epic prize! Can I get a Woot! Woot!? Now the only question is WHO will Misti pick to do record the message for her voice mail?? b) YOU get to choose the next Level Up Book Club selection! So, if you haven't already done so, be sure to cast your vote soon! 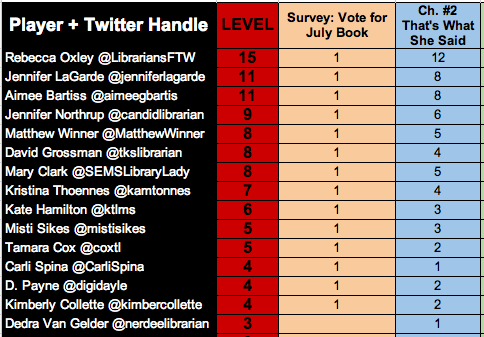 The book with the most votes will be announced during our twitter chat on the 28th! Are you loving Level Up as much as we're loving Level Up? Jennifer and I (Matthew) have conversations almost daily over how much we're enjoying this mega book club and all of the opportunities to explore gamification through what we read and how we interact with one another and all of you! And so, naturally, it's time to get our game on! Directions: Select a game mentioned in Reality is Broken and play it. That's it! No hidden tricks. Just potential wins for you and your friends, family, and allies. 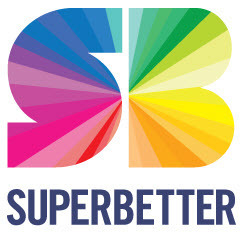 Will you use Superbetter to overcome an obstacle? Will Chore Wars bring adventure to where only dread once existed? Will you build a world with Minecraft and lose yourself in it? No matter what game you select, these or otherwise, snap a photo or screenshot of you playing and upload to our Level Up tumblr page or share on Twitter using #levelupbc. Reward: Sharing your gaming experience will pay off bigger than ever this week. Kicking it Wait Wait... Don't Tell Me style, a winner will be selected at random from this week's participants and will receive a personalized voicemail message from one of us (Jennifer or Matthew). Deadline: 11:59pm Friday, June 22nd. Share photos via Twitter and Tumblr as often as you'd like. One chance per participant to win. Happy reading, sharing, and winning! The second Level Up Book Club challenge is a wrap and my word did you all take this one to incredible heights! We asked for you to consider those powerful words and ideas share by Jane McGonigal in Reality is Broken. Over 80 quotes posted and several Twitter discussions later, we have a most-frequent-quoter. Congratulations to Becca Oxley (@LibrariansFTW), who not only quoted Reality is Broken the most this past week, but also engaged Level Up Book Club members in ways to apply those powerful thoughts to library and classroom instruction. Becca Oxley wins an 8-bit style portrait of herself to do with as she pleases, boosting her gamer cred and her #levelupbc reputation. Thanks to everyone who contributed quotes and shared thoughts on how we can apply what we're reading to everyday practice. We all achieved an #epicwin thanks to your dedication, interest, and enthusiasm! Also, thanks to Jennifer LaGarde for tracking and recording all of the quotes to our leader board! 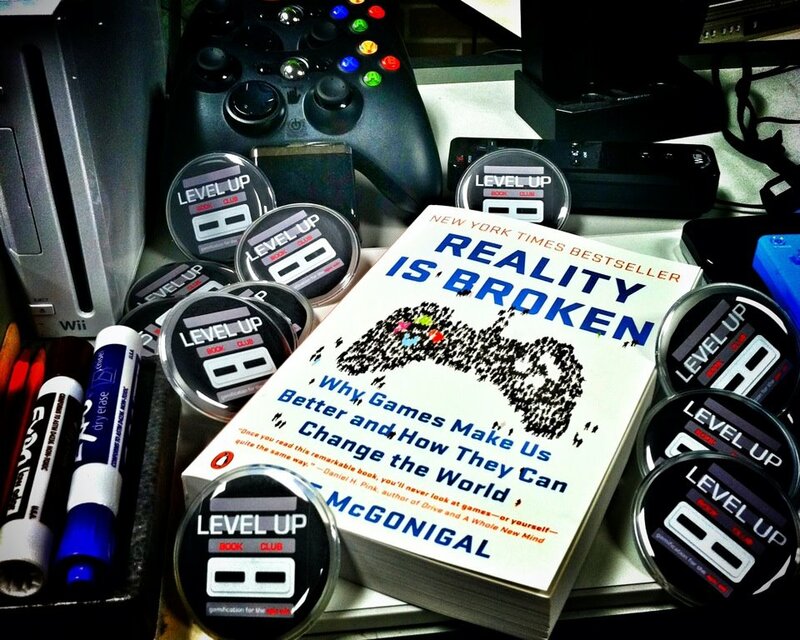 Join us on Twitter at #levelupbc on Thursday, June 28th from 8-9pm EST for a tweet up and live chat discussion of Reality is Broken. We've been together a week now and most of us are already off and reading by way of iPod, eReader, Playaway, or good ol' paperpack. Some are reading Reality is Broken for the first time, while others are enjoying returning to it for a second (or third!) time. Let's dig into the text. Directions: Share a quote that interested, intrigued, or otherwise spoke to you via this post's comment thread or on Twitter using #levelupbc. The more you share, the more we connect. The more we connect, the more we WIN. Reward: Since Twitter will soon become our primary discussion space for #levelupbc, the reward for this challenge will be an 8-bit style portrait of the winner that can be used as a profile pic or to otherwise boost your gaming cred. Deadline: 11:59pm Friday, June 15th. Your name will be added to a drawing for each quote you share via the comment thread and/or Twitter. Lots of chances to win, but you'll have to be an active member of the game and, therefore the discussion. As always, there will be plenty of other opportunities to share later and tons more challenges and opportunities to level up, so if you miss this deadline, don't despair! Find your highlighted, penned, and dog-eared quotes and share away! And feel free to tag @avantgame (Reality is Broken author Jane McGonigal) in what you share. Woot! Woot! 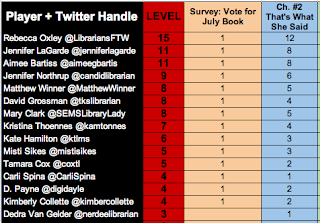 The first Level Up Book Club challenge is complete and we have a winner! This time around, we asked you to submit a photo of yourself along with your copy of our first read, Jane McGonigal's Reality is Broken, to our tumblr. Eighteen LevelUppers posted pics, but only one lucky gamer gets to be our winner. In order to make it as fair as fair could be, I entered all our gamers into an app I use at school called "PickMe!" that helps me select students randomly during class. 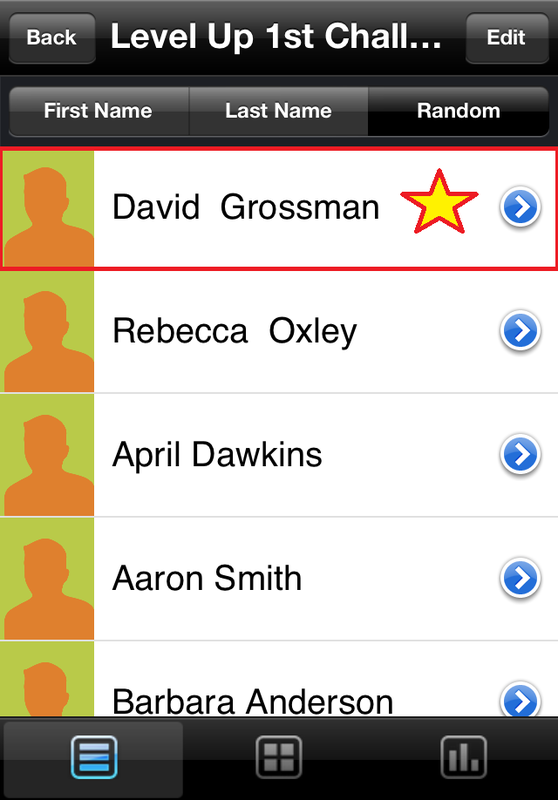 Once everyone was present and accounted for, I hit "random" and our winner (drumroll please) David Grossman, was crowned! Congrats David on your EPIC WIN! The booty? A fantabulous Level Up Book Club button AND and a gift card to help you purchase your next Level Up Book Club selection (or another book of your choice). But do not despair if your name was not picked - not only has Matthew cooked up a sock rockin' challenge for your next task, but we're also working on a leaderboard so that everyone who participates will start earning experience points towards a coveted Level Up! Stay tuned! Thanks to everyone who played along and, even if you didn't get your photo posted in time for this challenge, please continue to send them in. There are more photo challenges in the works - trust me, folks, this is just the beginning! Task 1: You Know You Want One! Like any good game, our book club comes complete with challenges. But I know what you're thinking! What good is a challenge without a really cool reward, right?? Fret not, gamers, your first task awaits! Sweet #levelupbc badges: You know you want one! Directions: Grab a copy of Reality is Broken by Jane McGonigal, our Level Up Book Club June selection, and share a picture of you with book/device in hand. Go to our Tumblr and click "submit". Be sure to tell us a little about yourself. Reward: Not only do you get the chance to meet everyone else who is going on this epic quest with you BUT one lucky #levelupbc member will win one of these smashing Level Up Book Club Badges AND (wait for it) an Amazon gift card to help you purchase the next book on our list. Deadline: 11:59pm Friday, June 8th. Don't worry, there will be tons more challenges and opportunities to level up, so if you miss this deadline, don't despair! Snap a photo anyway and submit it to our Tumblr so we can bask in the glory of your awesomeness! So... what are you waiting for?? Grab your book and your camera and get ready to level up!